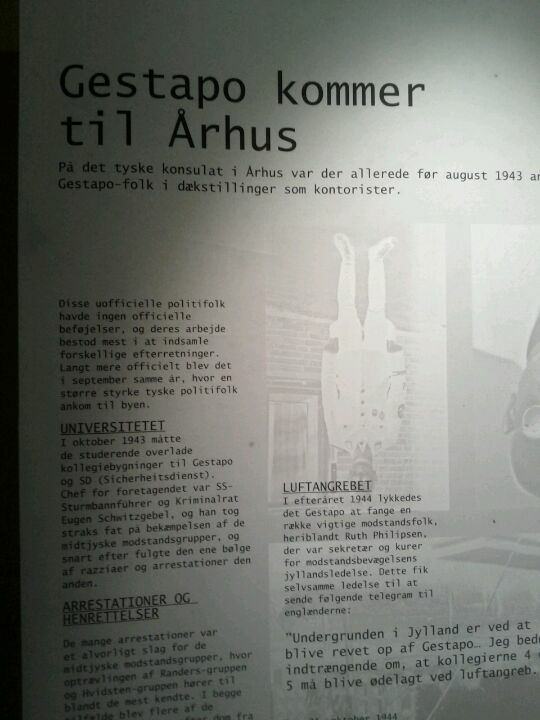 A museum dedicated to displaying the dire times of Nazi occupation of Denmark during the Second World War. A good visit in combination with the Female History museum right next door, as both offer great insight into the past. The museum is good for someone who is into the subject but it has very little English translations. Hvis man har interessante i besættelsestiden er det et virkelig godt museum. Definitely worth the visit! Cheap entrance, and lots of information. Make sure to ask for the "prison cell experience" before you leave! Godt lille museum om besættelsestiden i Århus og omegn.